I always thought the right budget breakdown was the tried-and-true 50-30-20 method, where 50% of my monthly take-home pay goes toward living expenses, 20% toward savings and 30% toward whatever I want. But when I finally got a financial advisor, I was surprised to hear that his recommendation wasn’t 50-30-20 after all — it was the 60-20-20 budget. During our first meeting, we discussed all of my finances. I explained to him that I own a home in a costly state (hello, New Jersey), commute to work in New York City, aim to save a large amount every month and have little debt. With all of this and more in mind, his recommendation of the 60-20-20 budget made perfect sense. I immediately became a huge fan of how the money I save and spend on whatever I want is equal — each 20%. Plus, knowing I was allowed 60% of my monthly budget for my living expenses, I had a little more flexibility over my fluctuating bills like groceries and electric. In reality, you can budget your take-home pay any way you want, but the 60-20-20 budget is great place to begin. Let’s say your monthly take-home pay is $4,000. According to the 60-20-20 budget, you should allot 60% (or $2,400) to your monthly living expenses, 20% (or $800) to savings and then 20% (another $800) to your personal wants. 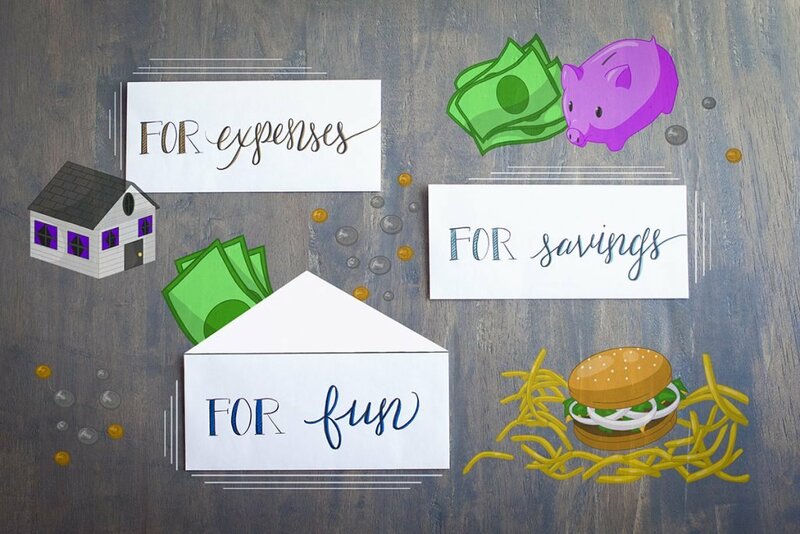 My financial advisor, Northwestern Mutual insurance agent Nicholas Verard Zanoni, said this method can help you build structure into your budget and learn how to save. It’s not much different than the 50-30-20 budget, but it puts more of a focus on fixed expenses and savings than personal wants and spending. When you take a step back and look at how much of your take-home pay goes into each of these three buckets, you can better analyze your spending in order to make smarter savings decisions. If you’re ready to utilize the 60-20-20 budget, start by taking inventory of your finances. Write down every monthly expense you can think of and keep track of them in a spreadsheet. Then look at how much you’re spending through the lens of the 60-20-20 budget. From there, consider using a financial app to help you find ways to cut back and save even more. This budget could help you be more aware of your spending habits, especially when you’re doling out the dough for things you don’t really need (hi, super cute sweater from H&M) or that you’re not using (hello, monthly streaming subscriptions). Instead of equally spending $800 on savings and $800 on your personal wants, perhaps you’d want to put $1,000 toward your savings and only spend $600 on your personal wants. That would shift the 60-20-20 budget to 60-25-15, and you’d be saving more. Lastly, Zanoni said to keep your goals in mind and consider working with a financial advisor who can help you stay on track. “Focusing on that budget and making sure that they work with someone to help optimize that budget for all of their goals is really the most important part,” Zanoni said. Budgeting is all about finding ways to set yourself up for financial freedom. Starting now can really make a difference in the future. Northwestern Mutual is the marketing name for The Northwestern Mutual Life Insurance Company, Milwaukee, WI (NM) and its subsidiaries. Nicholas Verard Zanoni is an insurance agent of NM. Hilarey Wojtowicz is the senior career and finance editor at Swirled, a lifestyle newsletter and website that helps millennials learn everything they need to know in order to truly start adulting.